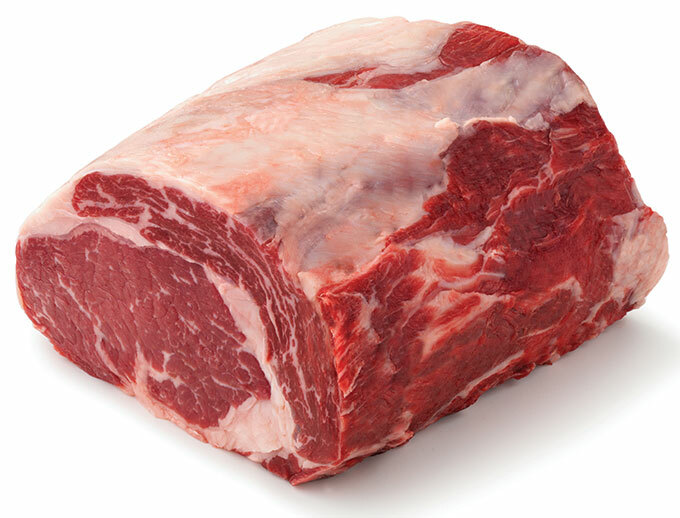 Ribeye Roast Boneless – Stampede Meat, Inc. This roast, similar to the Ribeye roast bone-in, is rich, juicy, full-flavored with generous marbling throughout. Nutrition information per 3-ounce cooked serving: 165 calories; 6 g fat (2 g saturated fat; 3 g monounsaturated fat); 25 g protein; 0.5 mg vitamin B6; 1.4 mcg vitamin B12; 1.6 mg iron; 4.7 mg zinc.